Your stay at Triangle C Cabins will be full of adventure. There are countless guide services that can show you around the wilderness. Middle Fork Outfitters offers some unique experiences! Whether you are looking to hunt or fish, these guides can take you on the excursion of a lifetime. Check out our complimentary Adventure Guide for even more companies to experience Central Idaho with! It’s the perfect way to start planning your trip. Middle Fork Outfitters is known for having more than two decades of hunting and guiding experience! 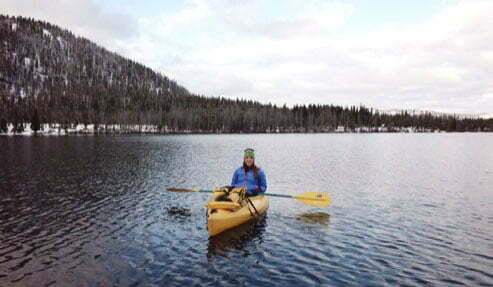 Their main goal through the company is to share their passion of the great outdoors with you. The wilderness of Central Idaho is incredibly unique, and these guides can show you all of it! Don’t miss out on anything important by heading out on your own; trust a guide like Middle Fork Outfitters. Many of their offerings begin right in Stanley, so it’s the perfect choice for your stay at Triangle C Cabins. If you’d like to hunt during your Central Idaho getaway, Middle Fork Outfitters can help. Depending on the season, they offer elk, deer, mountain lion, bighorn sheep, mountain goat, and bear hunts. Elk and deer hunts begin in September and ends in December with the archery season. Mountain lion hunts last for about 8 days in the snow and are mostly on horseback. Bighorn sheep and mountain goat hunts are 10 days of fully guided expeditions. Lastly, bear hunts can be enjoyed during the spring and fall. Middle Fork Outfitters offers multiple options for fishing. You can have the choice of casting your line into five different lakes, more than 20 miles of streams, or travel to the Salmon River for some fly fishing. Your guides are experts in the area, so they always know the best places for you to cast your line. Plus, many of these lakes are hardly accessed due to their remoteness, so they are teeming with fish! These trips consist of packing up the horses and mules, camping in tents, and enjoying delicious Dutch oven meals. If you’re coming to Central Idaho, you’ll need a home base for all your adventures. Triangle C Cabins was built with the adventurer in mind! 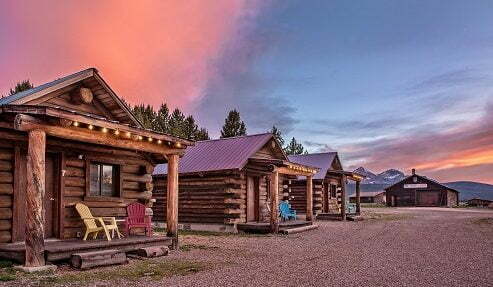 Whether you choose to go hunting or fishing with Middle Fork Outfitters, you’ll feel content knowing that you have a cozy cabin to come back to after you’re done with your excursion. We have recently updated all the cabins so they each include a microwave, refrigerator, and coffee maker for simple nights in, plus simple decor. Choose from one king bed, two queens, or one queen and two twin beds. They are perfect for a group getaway! 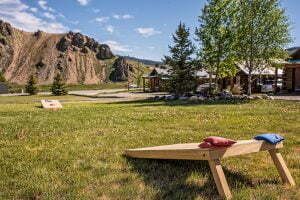 Plus, our property has fire pits, a volleyball court, bocce ball, and more to enjoy on your nights off. Start your planning by browsing our cabins, then book your stay! We look forward to seeing you! 3 of the Best Trails for Sawtooth National Forest Hiking — Where Is the Best Rock Climbing in Idaho?